Regular exercising is the best way to maintain a fit and healthy body. It can help you slim down, maintain a healthy weight, tone your body and strengthen your muscles. It is important to exercise regularly, in order to prevent health problems such as diabetes, hypertension, sleep apnea, cancer and heart diseases. Benefits of regular physical activity are endless and that is why it is crucial to exercise a few minutes a day. Health experts claim that working out ten minutes a day can boost your health and prevent chronic diseases. We would like to show you this fifteen-minute workout challenge that is good for people who are short of time, but want to build fit body. This training routine can be performed at home, as you will need only a mat and a bench(or a chair). 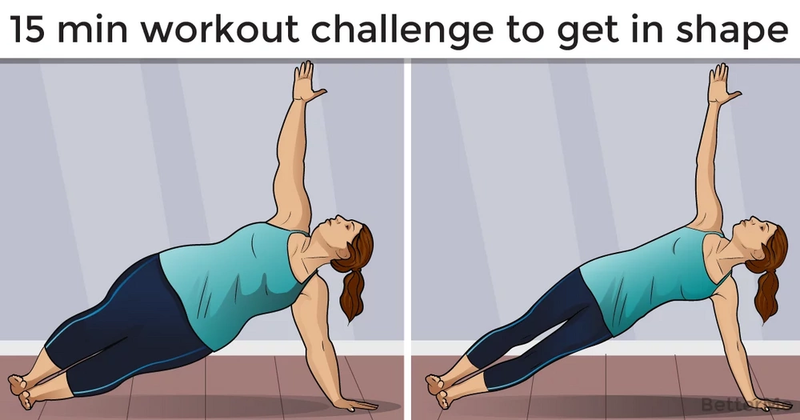 This workout consists of effective bodyweight moves such as jumping jacks, wall sits, push-ups, crunches, step-ups, squats, tricep dips, planks, high knees, lunges, push-up rotations and side planks. 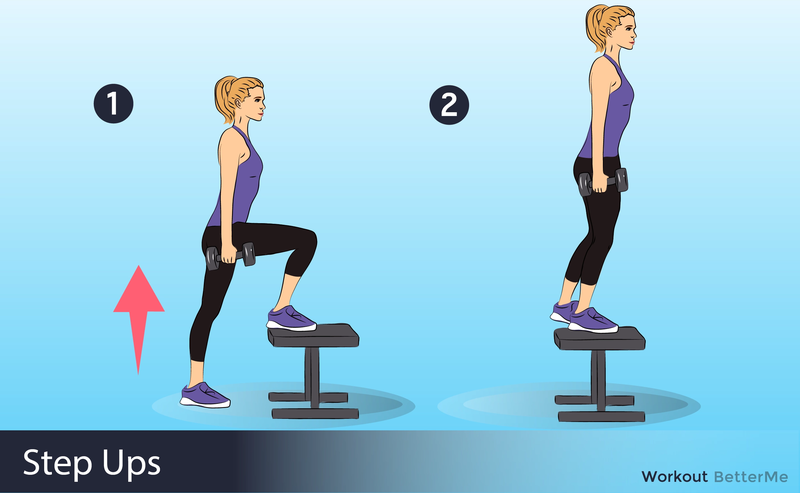 These exercises are aimed at sculpting your core, buttocks, legs and arms. You need to perform thirty seconds of each exercise and repeat the circuit twice. You should have ten-second rest periods between each exercise. If you feel pain while working out, you should stop performing the workout. Are you ready to start this fifteen-minute challenge? Scroll down to see how to perform these moves correctly in order to prevent injuries. Perform this training routine every day and you will improve your health and see noticeable results in one month!